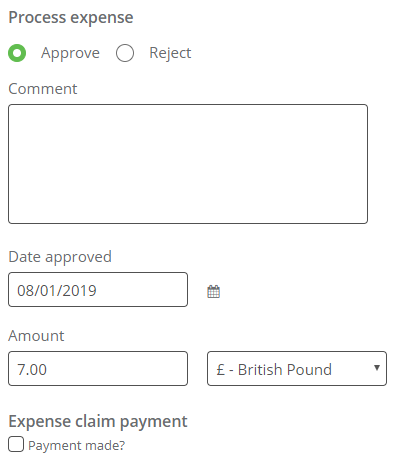 If you are authorised to approve expenses, each time a staff member submits a new expense claim you will receive a notification in your To Do list on your Dashboard, which you can view using the Process button. You can also view these in the Pending section of the Expenses page. When you're viewing a claim, you're able to see all the details that the employee has submitted within each tab, so you can decide whether to approve or reject it. You can also make any necessary changes to the claim, if needed, such as the amount or adding a receipt. 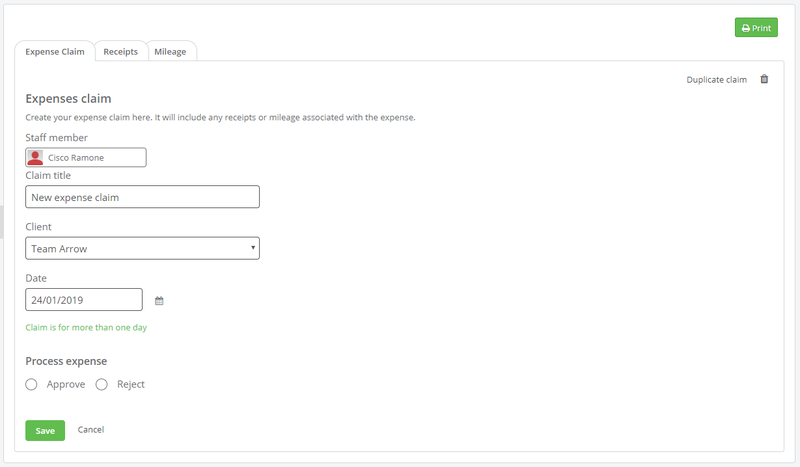 NB: You can download any attachments within a receipt by clicking the Edit cog within the required row, then clicking the attachment link in the dialog. 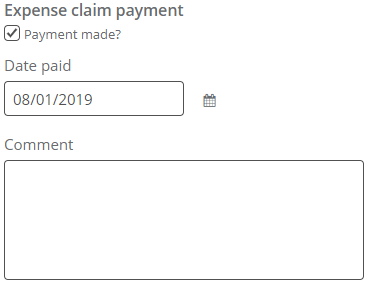 To approve the claim, from the Expense Claim tab, click the Approve button. This will show some additional options. Here you can enter a Comment about the approval, the Date approved, the Amount the expense was for, and is the Payment made? yet. If you leave this unchecked, this will leave the claim in the Approved section of the Expenses page. NB: The Amount will default to the amounts entered into the Receipts and Mileage tabs. You can manually override this if needed. If you check the Payment made? box, you'll see some additional options. Here you can enter the Date paid and a Comment about the payment. Clicking the Save button at the bottom of the page will then save the approval. 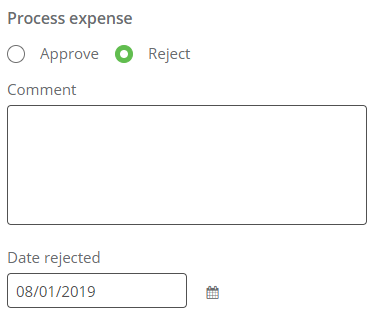 To reject the claim, from the Expense Claim tab, click the Reject button. This will show some additional options. Here you can enter a Comment about the rejection and the Date rejected.